Bone Marrow Transplantation is not necessarily the painful process you might think it is. 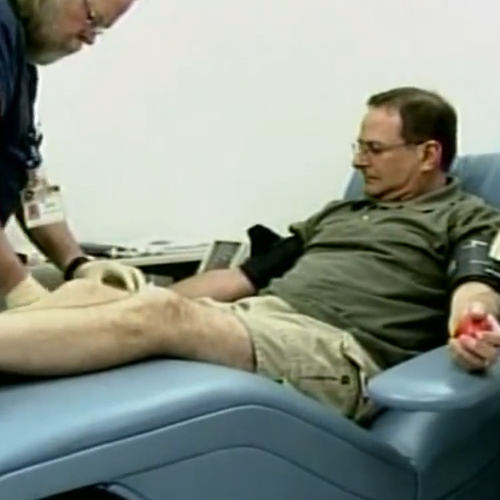 This life saving procedure can be completed in a way that is not much different than giving blood. It is called Apheresis. Follow Catch It In Time‘s co-founder, Keith Singer, as he had the opportunity to donate stem cells for a 31 year old male with Leukemia. Footage for this story was provided by Catch It In Time to KCNC. Thousands of patients hope for a bone marrow donor who can make their life-saving transplant possible. They depend on people like you. You have the power to save a life. Take the first step today and register to be a donor.